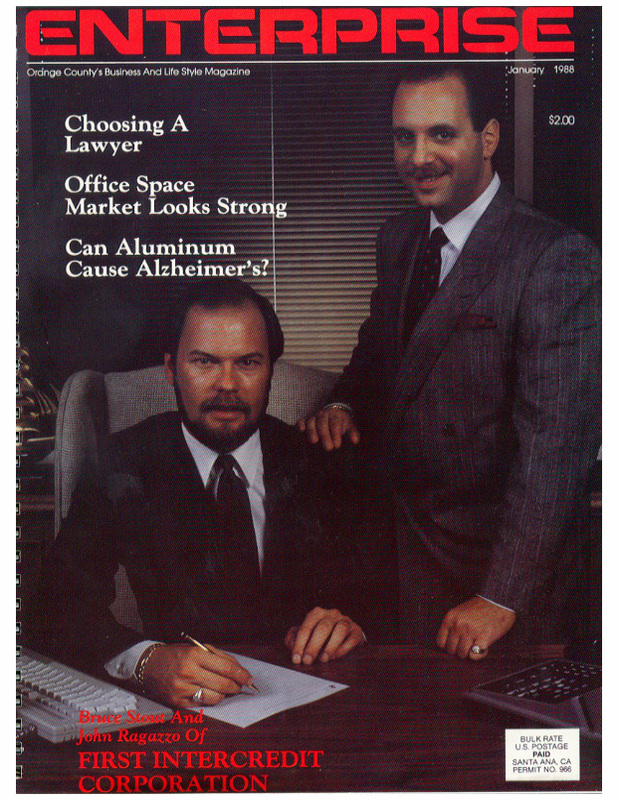 The founder of Offer in Compromise has been a successful negotiator since the mid 80’s. As an aggressive east-coaster, John Sebastian Ragazzo was born in New York, and raised in New Jersey. By the age of 18, Sebastian had amassed $100,000 in savings, which was derived mostly from accumulated referral fees and commissions. 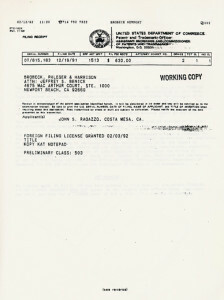 His best moneymaking technique was negotiating against auto dealerships on behalf of car buyers throughout New York and New Jersey. Sebastian learned from the get-go that you never have a second chance to make a first impression, and so he has always placed his best foot forward. In 1985, Sebastian relocated to California to grow his auto referral business. 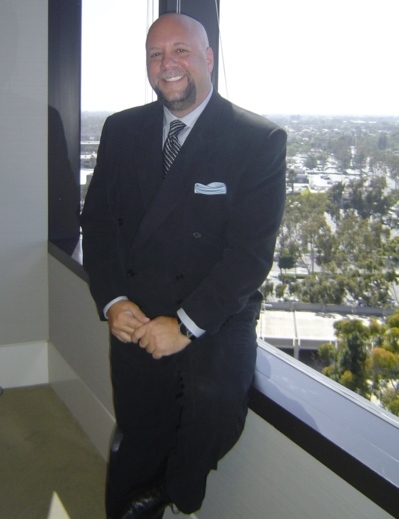 Almost immediately, Sebastian nurtured a relationship with the operators of major auto dealerships throughout southern California. 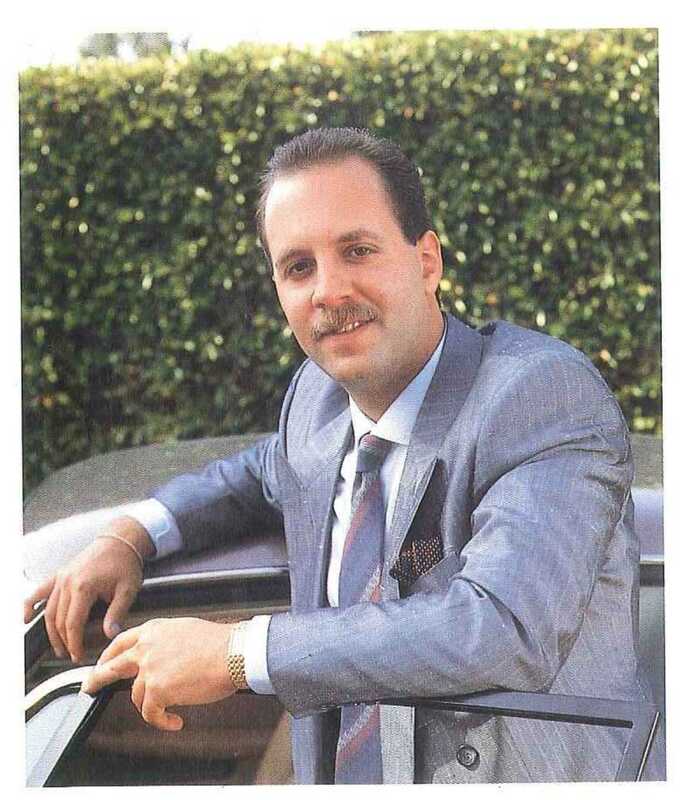 Eventually, Sebastian found a niche to unite car buyers and Southern California auto dealerships, not by advertising, but through advertising. Sebastian created his own unique vehicle for bringing buyers and sellers together by creating the Auto Directory Magazine. Sebastian realized that the dilemma was not necessarily what buyers were looking to buy, but whom they were looking to buy from. 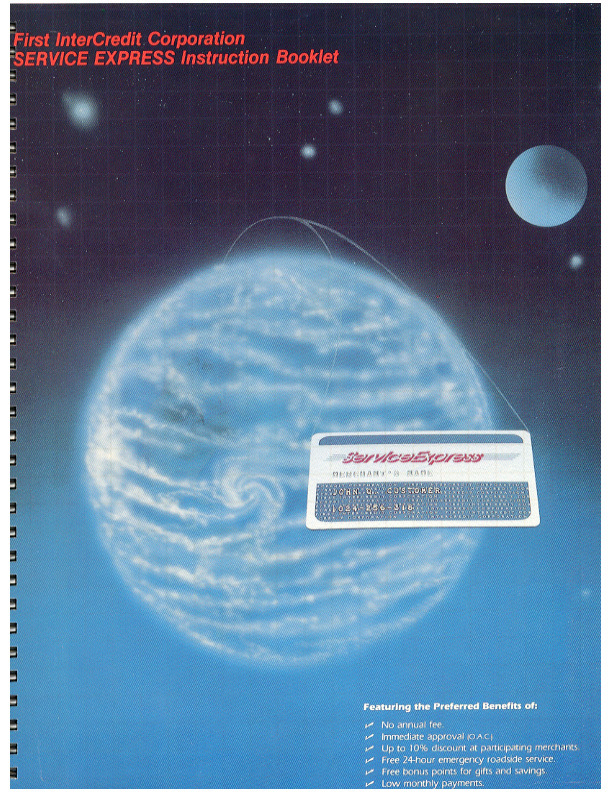 Hence… the Auto Directory was born. 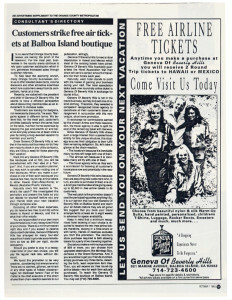 The Auto Directory was initially introduced as a free-of-charge, black and white newspaper-type publication. It grew into a 190+ page full-color, glossy magazine, introducing auto buyers to auto sellers. 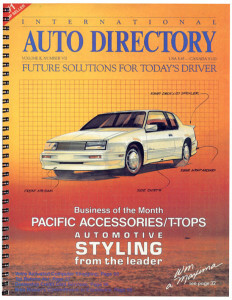 The Auto Directory presented to its readers a unique auto-selling strategy, coupled with auto-buying experiences. 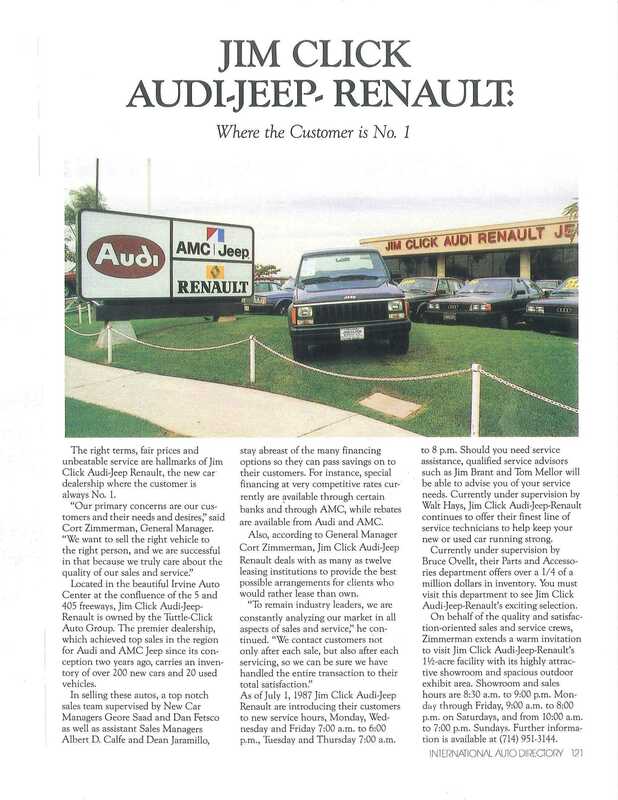 Rather than inviting auto dealers to advertise within the publication, Sebastian, armed with writers and a full camera crew, would [personally] go out and visit auto dealers, and photograph auto dealership showrooms, service and parts departments. He would collect information and publish full page reviews incorporating every aspect about the dealerships services, and convey to buyers why they would want to purchase their next new car from a particular dealership. The Auto Directory even incorporated a consumer feedback questionnaire which invited consumers to provide their feedback on a particular auto dealership car buying experience. 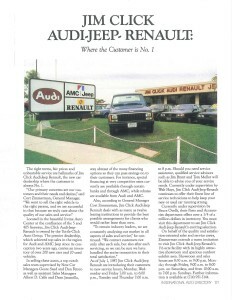 The Auto Directory’s published opinions were unbiased, and no auto dealership could ever purchase a review within the Auto Directory. 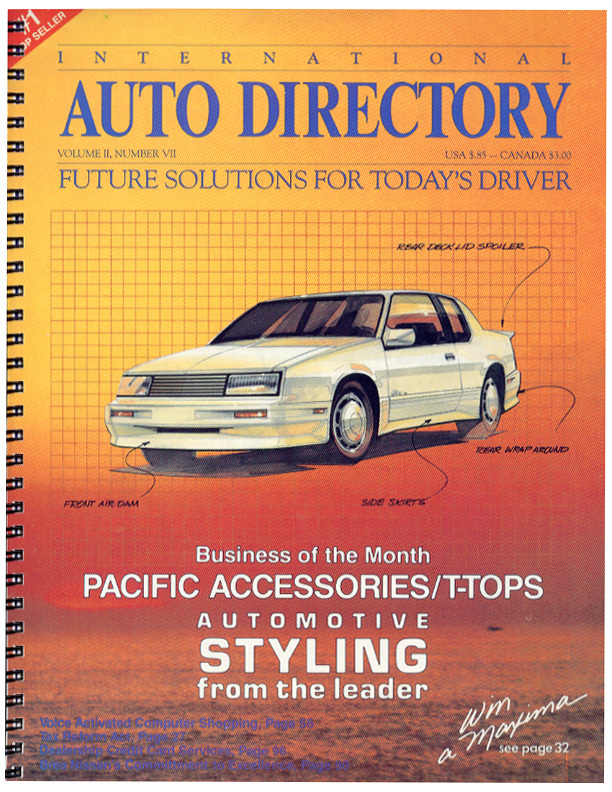 Any business that wished to advertise within the Auto Directory was qualified by the Auto Directory’s staff, pulling business licenses, and investigating consumer complaints lodged with local Better Business Bureaus. 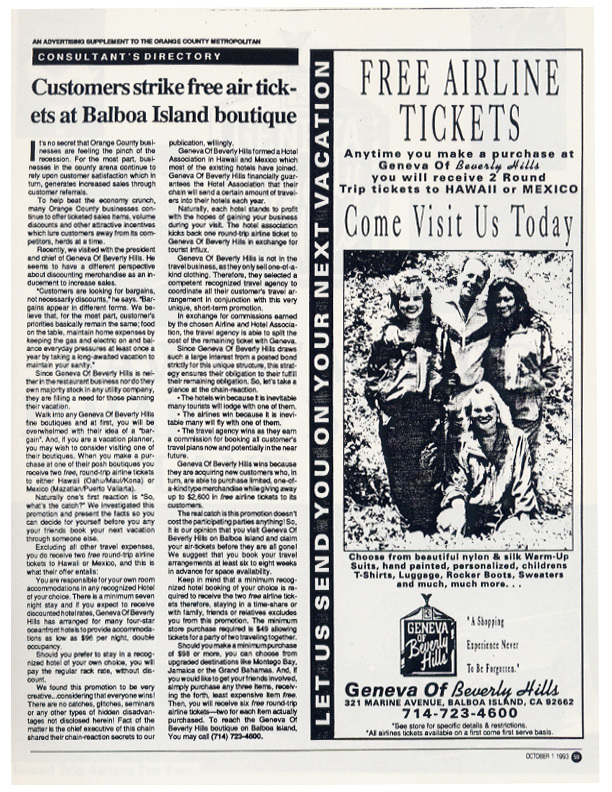 If and when a merchant passed a preliminary screening, staff members of the Auto Directory would create and publish a combination of an editorial, identifying the most important highlights of the merchant, coupled with a brief advertisement. Hence, the winning combination created an advertorial. 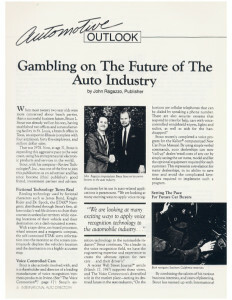 In 1992, Sebastian appeared on the front cover of Automotive Outlook. Then came Karmac… the mall kiosk that Sebastian designed to provide car buyers with a user-friendly automated experience. 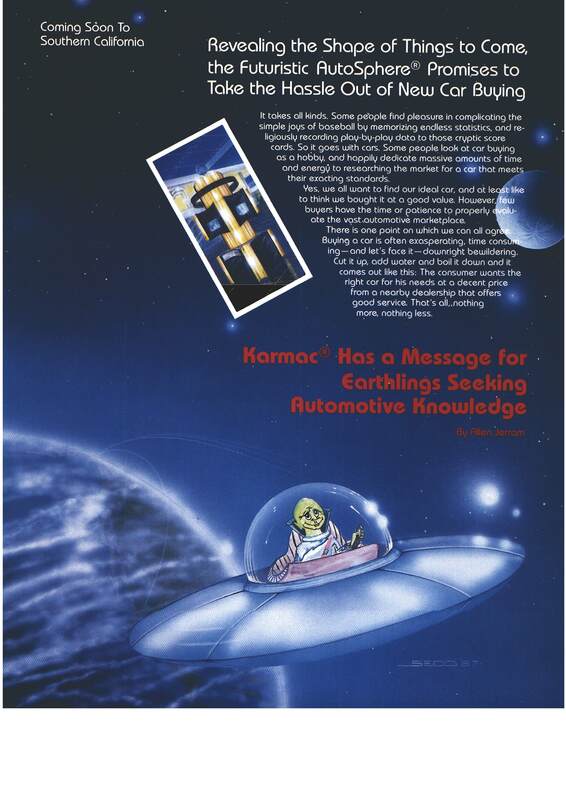 He created a friendly character named Karmac who would guide car buyers with an interactive kiosk to help narrow down the vast selection of automobiles. Upon completion of the session, Karmac would provide a hot-off-the-press edition of the Auto Directory magazine. 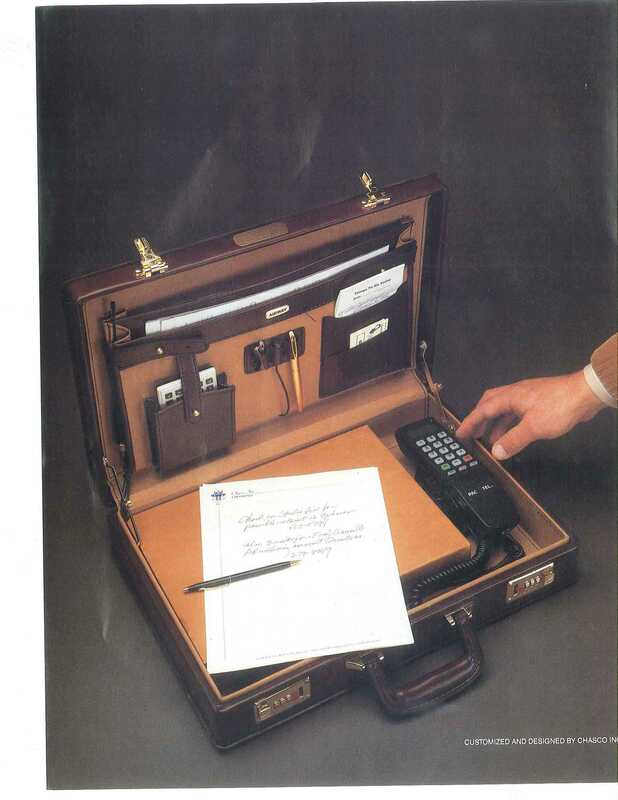 In fact, when cellphones were first invented, Sebastian figured out a way to fit that huge, bulky phone into a briefcase, so it was less conspicuous. 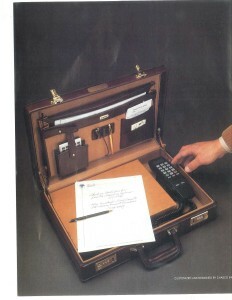 Hence, he created and manufactured the very first briefcase cell phone. By 1988, Sebastian began [personally] fueling a private-labeled automobile dealership credit card to assist auto dealerships with increased customer retention and loyalty. Sebastian’s appeared on the front cover of Entrepreneur, a high profile magazine that illuminated successful entrepreneurs. 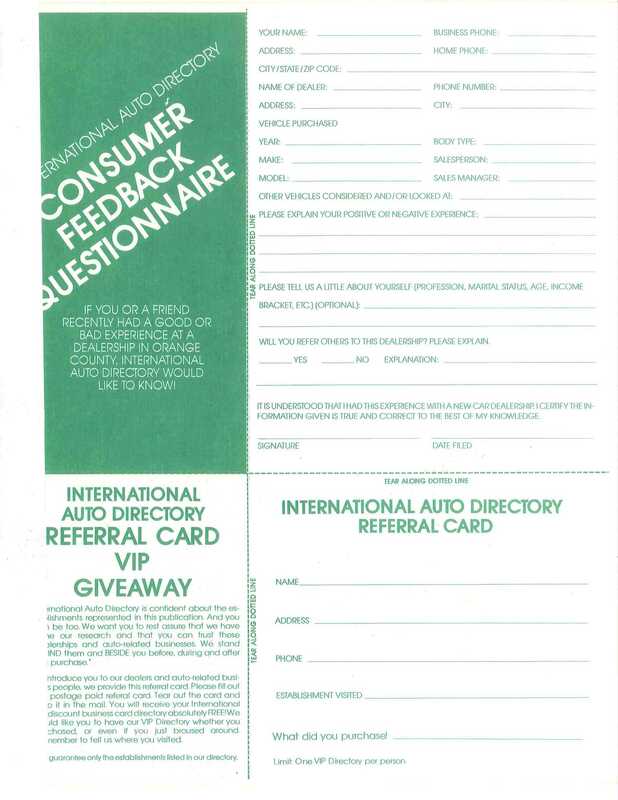 The Service Express card was then introduced to car buyers at the time of purchase of their new automobile. Since banks only approved car purchases based upon a limited credit amount, the Service Express credit card invited car buyers to purchase aftermarket accessories, like a sun roof, or the opportunity to upgrade their tires and rims, and even purchase extended warranties. The Service Express credit card incorporated each specific auto dealership’s name on the card, and the card could only be used at that particular dealership. 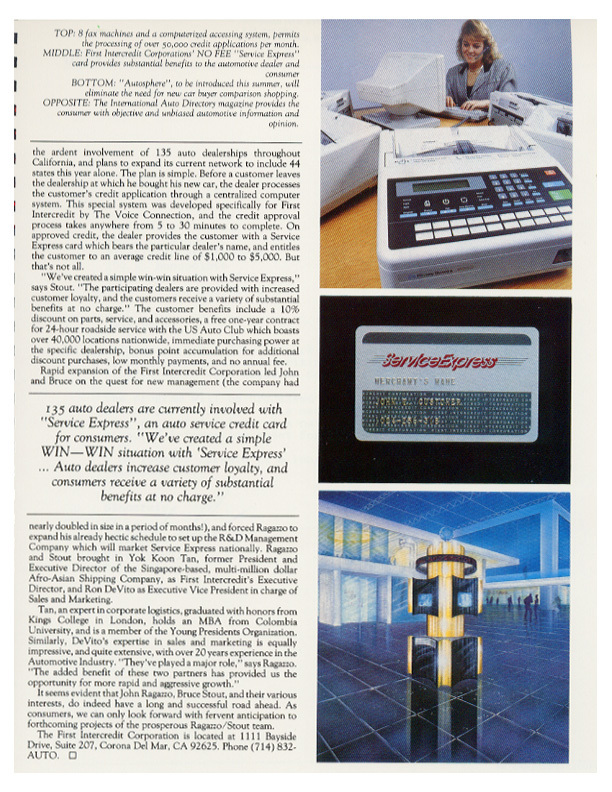 However, rather than attempt to sell the Service Express credit card concept to the auto dealerships door-to-door, Sebastian advertised the Service Express card within his own Auto Directory publication. This strategy prompted auto dealerships to contact Service Express directly, and invited them to integrate the Service Express credit card program at their dealership. Within twelve short months, Service Express Card applications were found throughout automobile dealerships across the entire United States. 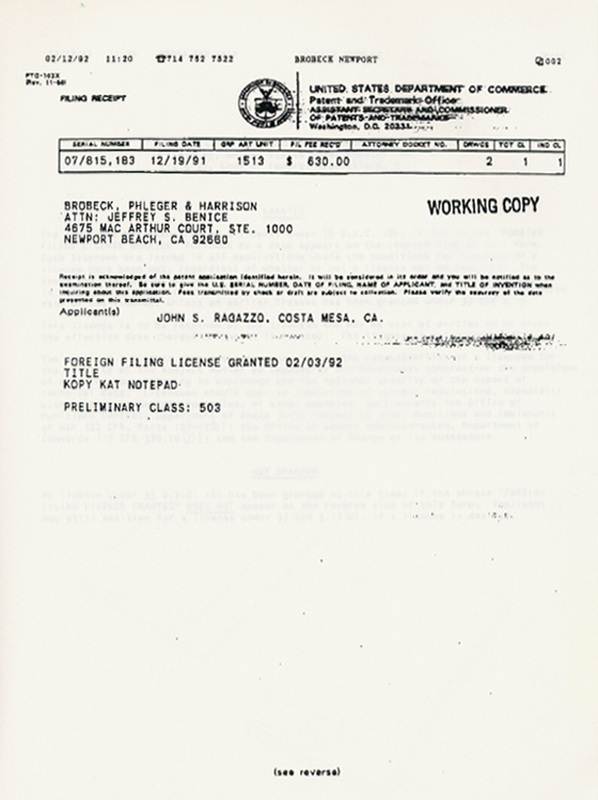 By 1990, the participating lender purchased controlling interest of the Service Express program, and eventually acquired the entire operation. Sebastian pursued his lifelong vision, and set out to design his own line of clothing. He manufactured overseas and branded his own label. By 1997, Sebastian had opened his own clothing boutiques, selling his own (very) popular clothing lines within his boutiques. Carefully plotting a unique retail sales plan, Sebastian appeared on the front cover of Metropolitan magazine, echoing his plan to set out and attract the most relaxed buyers into any one of his twenty-two Geneva of Beverly Hills Boutique locations… tourists. 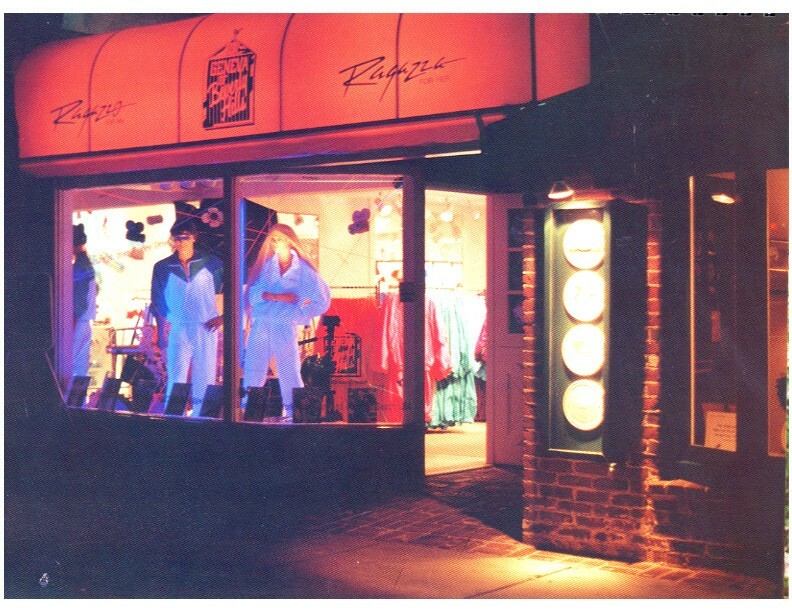 Under the brand (and his last name) Ragazzo (meaning “boy” in Italian) and Ragazza (meaning “Girl” in Italian), Sebastian introduced his top-selling 3-piece washable silk walking suit Collection to the United States, consisting of a fashionable jacket, pants, and matching shorts. Sebastian sold the collections throughout his Boutiques. 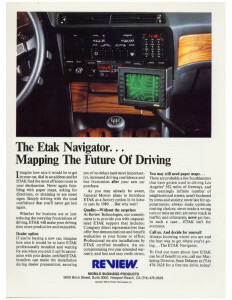 Other product inventions and designs that Sebastian spearheaded or shared in its success includes the E-Tak Navigation system, a uniquely designed Tracking System that guided driver’s door-to-door, safely landing them at their final destination. 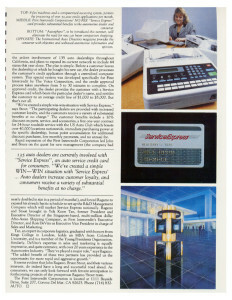 At the time, the highest level of technology available provided only county by county mapping elements of this tracking system to be created and stored on multiple cassette tapes. By incorporating today’s modern technological advancements, E-Tak was acquired by General Motors, and has since been redesigned and licensed to automotive manufactures throughout the world, conveniently and optionally integrated into the dashboard of all new cars. The mapping elements have since been upgraded with today’s latest technology, and the entire country’s maps are now retained on a single CD ROM. Sebastian’s business ventures continued with the development of a 900 telephone hotline system, which allowed callers to retrieve instant medical information, and the opportunity to speak directly with Physician Assistants to aid in their medical ailments. Health Fone Care was manned by Physician Assistants and accessible to caller’s 24-hours a day. 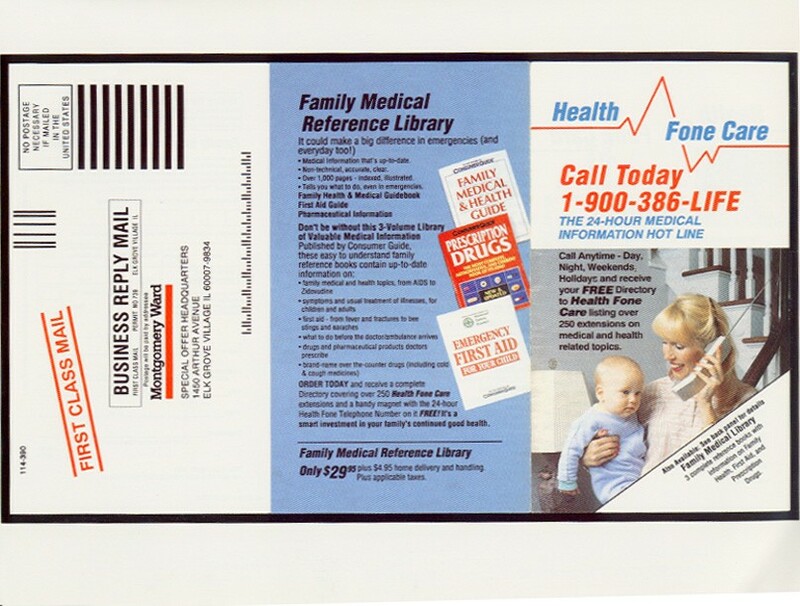 First-time callers received by mail, a free brochure to help guide them through an array of medical topics, and telephone assistance during their next calls to Health Fone Care. 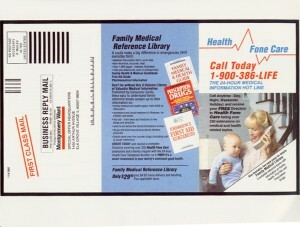 Callers were also received a magnet to be placed onto their refrigerator door to conveniently remind callers of the 900 telephone number to call, and the extensions to each medical topic. Most importantly, Health Fone Care helped minimize unnecessary trips to hospitals, emergency rooms and medical centers. Eventually a major health care provider acquired Health Fone Care’s to help reduce unnecessary insurance claims. Onward… When you are at a lunch meeting, have you ever wished you could exchange notes with everyone at the table so you didn’t have to wait for your copy to come by mail? 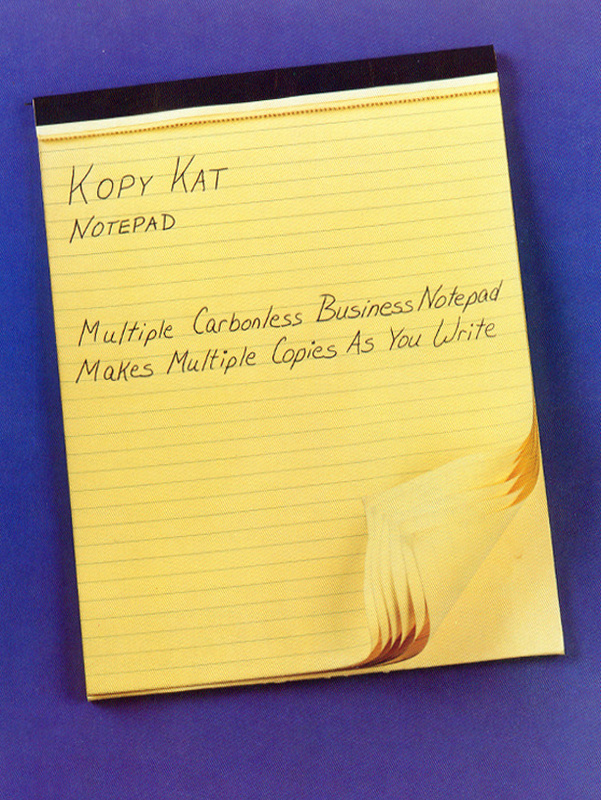 Introducing… the KopyKat Notepad. 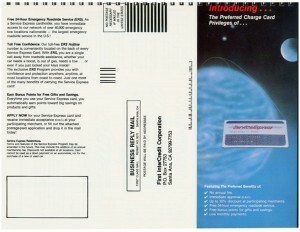 This uniquely-designed, multiple carbonless copy notepad allows users to inscribe (up to) six multiple (original) copies at the time of the actual inscriptions. 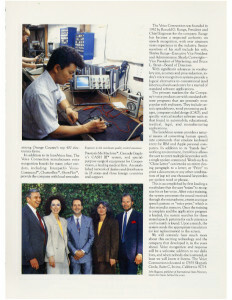 An International Patent License ensued and was granted in 1991. 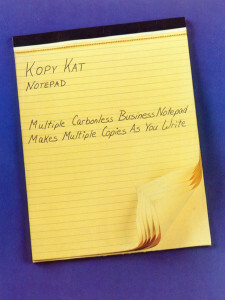 The KopyKat notepad was eventually licensed to a major paper products distributor, who acquired them shortly thereafter. 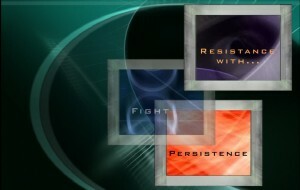 This leads us to Offer in Compromise. Sebastian lives by one motto… “Opportunity lends itself.” Each venture that Sebastian evolves with opens new adventurous doors to bolder, more creative and lucrative opportunities. Sebastian is an achiever; a motivator; a leader; and an inspiration to his followers. This isn’t to say that Sebastian is perfect. He cautiously shares his missteps with his ginormous team of nationwide negotiators, to ensure that his mistakes are never emulated. 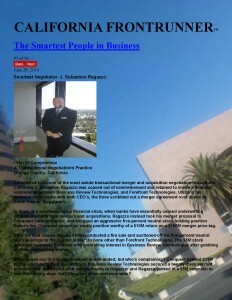 Sebastian is best known as a go-to guy to all of his clients; associates; and friends. Sebastian certainly makes many friends along the way. He glides through life with a perception that everyone wishes to achieve what they set out to accomplish. His charisma energizes and marries enemies, and he cherishes his ever-expanding portfolio of successful ventures, and newly-created friends along his journeys. There are countless other business ventures that have propelled Sebastian’s career, including his team’s successful negotiations of large ticket purchase items; renegotiation of professional athlete contracts; and merges and acquisition. In 2010, Sebastian was inducted into the California Frontrunner business magazine, voting him #7 of the top 50 smartest people in business. SO where is Sebastian headed now? Introducing the long anticipated Plastic Coupon. Ecologically speaking… the entire world is finally going green. Imagine how many trees would be saved if we put an end to coupon mailers? Nowadays, we practically pull a tree out of our mailboxes every day. It’s junk mail; we don’t ask for it; we don’t want it; it’s a waste of retailer’s money; and the process is destroying our forests! 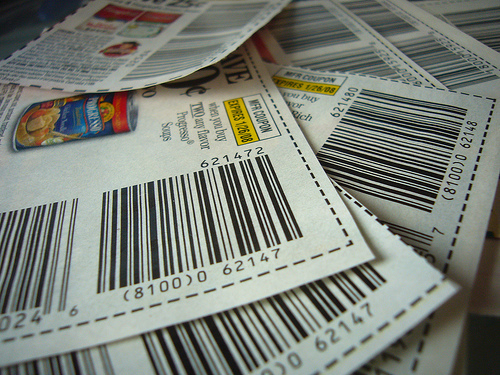 Everyone appears to be going paperless… so why not paperless coupons? 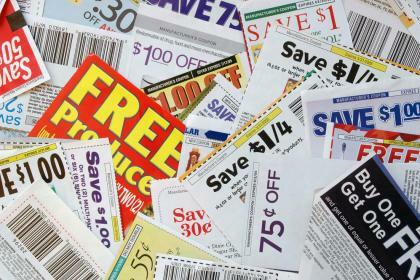 Retailers anxiously create; design; print; postmark; and bulk-mail paper coupons to millions of customers. Those coupons offer various discounts if they are presented by or before a certain date. When those coupons expire, they become worthless volumes of useless, wasted paper. 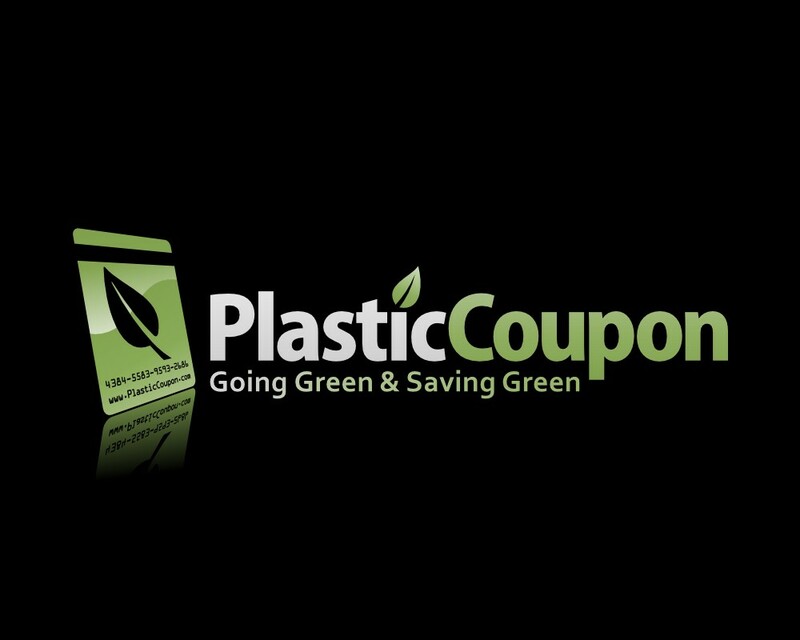 PlasticCoupon is in the process of placing a period on such time consuming; costly, and wasteful practices by creating an instant-gratification, and cost-productive way of reaching millions of shoppers, through their wallets, not their mailboxes. And while we certainly agree that coupons are somewhat effective, grasping at a two-percent average mailer return hardly seems worth the slaughter of so many of our precious trees, for such a minimal expectation. 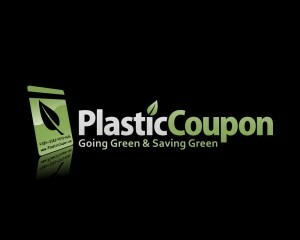 PlasticCoupon will soon be enrolling retailers into the PlasticCoupon program. Our portfolio of retailers will join our mission, converting their mailer coupons from paper to plastic. In a world bursting at the seams with coupon incentives; cash back rewards and fine-print come-on’s, none offer the true incentive of instant gratification, like the PlasticCoupon. While the PlasticCoupon is a discount club-membership card and not a credit card, the PlasticCoupon will revolutionize the way retailers reach out to, and reward their shoppers. The mission of Plastic Coupon is to help save trees by providing shoppers with a PlasticCoupon that never expires, and will forever remain in shopper’s wallets, not in their trash cans like unwanted, expired paper coupons. Soon, PlasticCoupon cardholders will be able to visit their favorite retailers, swipe their PlasticCoupon at the register, and receive whatever instant gratification that paper coupons were intended to offer its shoppers. Be sure to look for the Plastic Coupon’s new beginnings as they progress with high hopes, and even greater expectations. 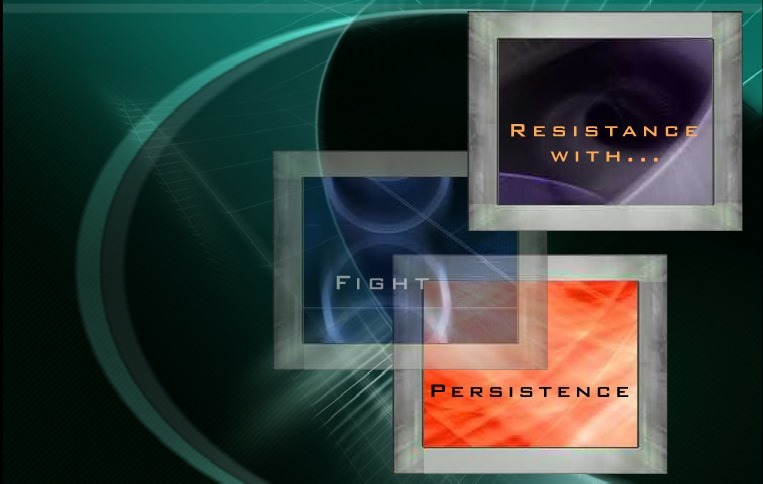 You are invited to surf our website, e-mail or call whenever you are ever in need of a personal negotiator on your side, seeking a profitable resolution. Great amazing issues here. I¡¦m very satisfied to peer your article. Thanks a lot and i am looking forward to touch you. Will you please drop me a mail? Hello! I just wanted to ask in case you ever have any issues with hackers? My last weblog (wordpress) was hacked and I ended up losing many months of hard function due to no backup. Do you have any solutions to protect against hackers? Simply a smiling visitor here to share the adore (:, btw outstanding design . “Audacity, more audacity and always audacity.” by Georges Jacques Danton. I’m just commenting to let you know what a excellent discovery my cousin’s girl encountered going via your web site. She noticed several details, which incorporate how it really is like to possess an ideal coaching spirit to let others smoothly learn several grueling topic areas. You really did far more than visitors’ desires. Thank you for distributing these wonderful, dependable, informative and special ideas on that subject to Tanya. I’d also like to say that most of those that locate themselves with out health insurance can be students, self-employed and people who are jobless. A lot more than half from the uninsured are genuinely under the age of Thirty-five. They do not come to feel they’re needing health insurance since they’re young in addition to healthy. Their certain income is typically spent on houses, food, and entertainment. A lot of people that do go to function either full or not specialist are not made available insurance by their jobs so they move without with the rising cost of health insurance within the usa. Thanks for the suggestions you write about by means of this web site.